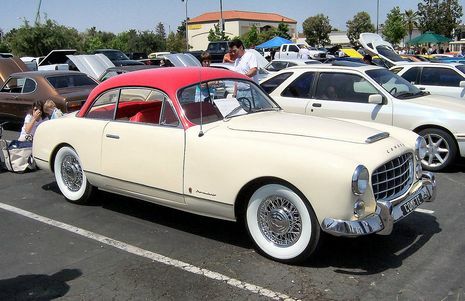 The Ford Comète (also the Simca Comète) was a car built between 1951 and 1954 in France by the Ford Motor Company's French subsidiary, Ford SAF Intended as the luxury model in the range, the Comète's bodywork was built by FACEL, who later produced the better-known Facel Vega luxury cars under their own name. The original engine was a 2.2 L V8 produced by Ford SAF of French design, also used in the Ford Vedette, and a Pont A Mousson 4-speed manual transmission was used. The original model had a single, horizontal bar across the grille with a chromed shield or bullet in the center, somewhat similar to contemporary Studebaker products, among others, and steel wheels with chromed hubcaps. Although the car's looks, features and build quality drew admiration, the small engine rendered the heavy Comète underpowered and unreliable. In 1953, a new "Monte-Carlo" model was given a 3.9 L V8 normally fitted to Ford trucks; this engine, befitting its truck heritage, delivered 78 kW (105 hp) but also plenty of torque. Performance was much improved, but the new engine did not endear itself to buyers; it was not only known to be a "truck engine", but its large engine displacement meant that its tax horsepower rating was 22CV, making for high road taxes. This new model was fitted with wire wheels, a fake hood scoop, and a very typically Ford egg-crate grille (vertical and horizontal equally spaced bars). The French called this grille a "coupe-frites": a "french-fry cutter". During the production of the Comète, Ford SAF was taken over by Simca, and the final year's production was under the Simca name. 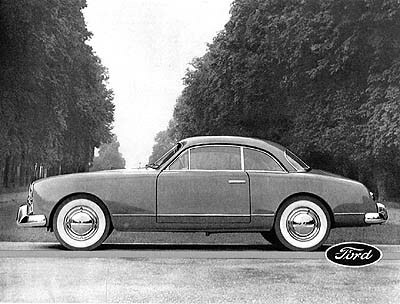 The Comete was billed as The French Luxury Car. 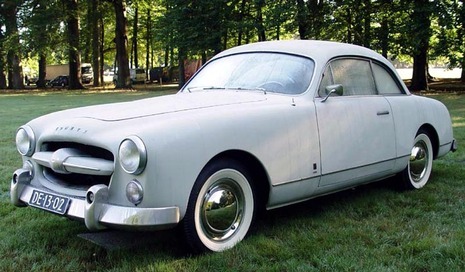 The bodywork was by Facel, but the engine was the 2158cc V8 unit used in the Vedette. The undated brochure sports the Ford logo, unseen on any other Ford S.A.F. product!